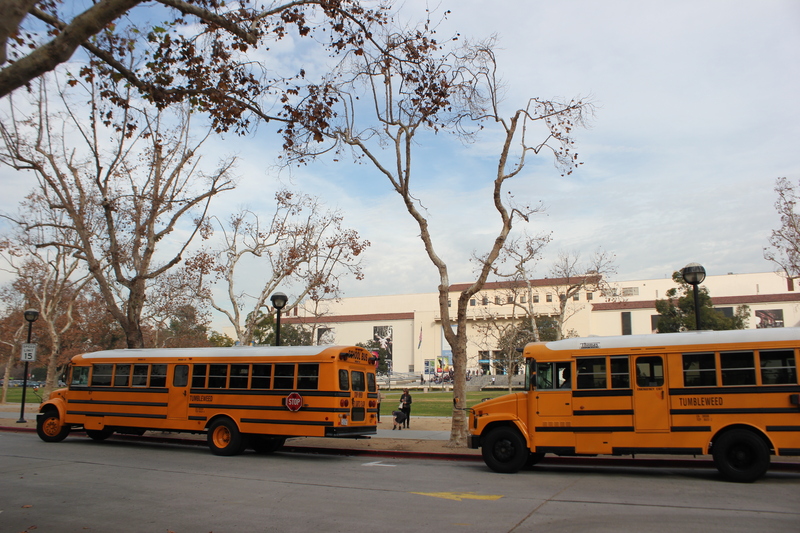 All time and mileage begins and ends at our facility, either in Van Nuys, CA, Los Angeles, CA or Gardena, CA, depending on the location of the bus needed. Payment: All deposits are due and payable upon receipt of confirmation. We will fax a confirmation after we receive a reservation request. Any balance will be due upon receipt of an invoice. Cancellation: You may cancel a reservation in writing (via fax) up to 24 hours prior to the scheduled start of the trip. Weekend trips must be cancelled by 5:00 P.M. the Friday before your trip. If we receive written notice less than 24 hours in advance, you must pay the minimum charge and none of the fees are refundable. © 2014 Tumbleweed Transportation. All Rights Reserved.